With Hollywood determined to play it safe and stick to generic cliché and recycling trusted ideas, subscription television networks like AMC and HBO have become the home of innovative and interesting filmmaking. So it is fitting that one of the most interesting films of the year should be a television movie. Based on Scott Thorson’s memoir Behind the Candelabra: My Life with Liberace, Steven Soderbergh’s film is a behind-closed-doors biopic of one of the world’s most flamboyant and conflicted entertainers. Behind the Candelabra explores the final decade of Liberace’s life through the lens of his relationship with his young companion, friend and lover Scott. As time goes on, their relationship becomes more complicated with Scott’s identity disappearing into the world of Liberace as the entertainer seeks to adopt him and even buy him facial reconstruction surgery so they can look more alike, all in the name of being family. 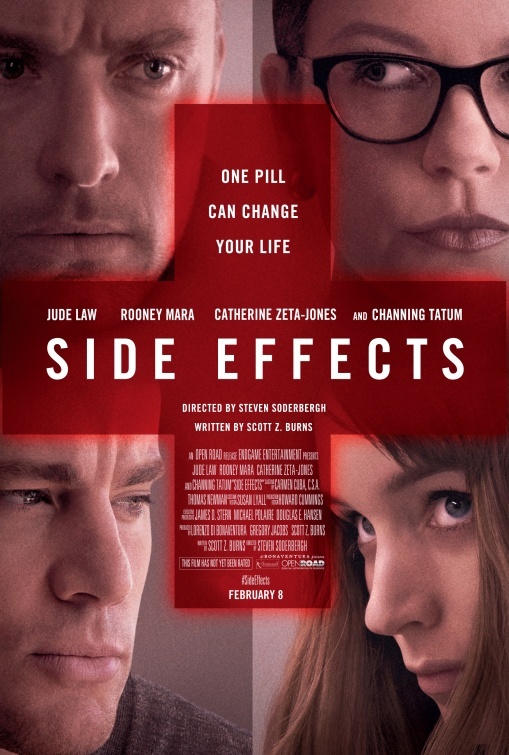 Having been in gestation since 2008, the project was turned down by practically every Hollywood studio on the grounds that it was, as Soderbergh puts it, “too gay.” So it fell to HBO, who have made their name by taking chances that commercial networks wouldn’t dare, to make the picture. 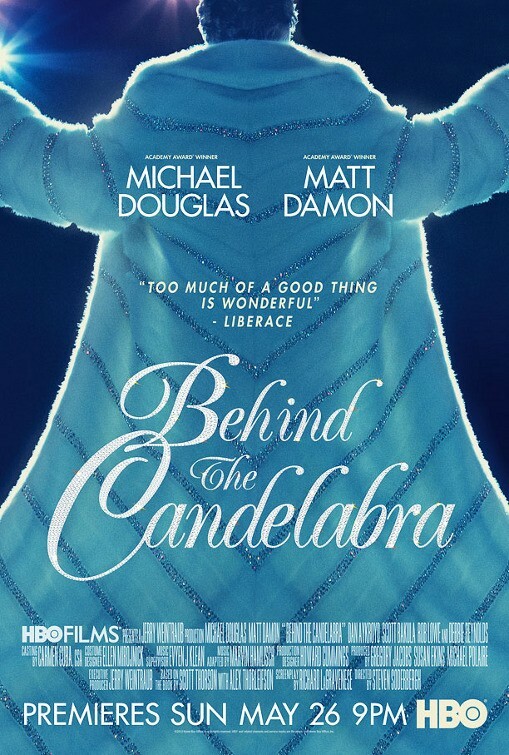 As a result, Behind the Candelabra was released on television in the US, but it has been given a cinematic release in Australia, Europe and the United Kingdom. Today, it seems astounding to think that people would be unaware that Liberace was gay. But his fame predated the rise to prominence of gay culture and sensibility in America, and the film gives insight into how closely guarded and managed, not to mention litigated, his secret was. A scene in which Scott reads a passage from Liberace’s autobiography emphasises the extent to which the entertainer has been forced to live and perpetuate a lie. The screenplay also touches on Liberace’s Catholicism, which he maintained despite that church’s stance on homosexuality, but doesn’t choose to make it a major issue. With Michael Douglas attached to play Liberace, the production was delayed for a couple of years as he battled throat cancer, but it was worth the wait as Douglas’ performance is tremendous, some of the best work of his long career. In a role in which it would have been very easy to resort to caricature, Douglas gives Liberace incredible depth and complexity, showing him to be at once lonely, insecure, jealous, predatory, possessive and controlling. We also get some impressive scenes of Liberace working his magic on the ivories thanks to seamless digital work, compositing Douglas’ head onto a piano-playing double. In the role of Scott Thorson, Matt Damon serves as the audiences entry point into the extravagant and glittery world of Liberace. He is as confronted as we are when he first arrives in Liberace’s home, but as he settles into his surrounding so do we. Casting the 42 year old Damon in the role of Scott, despite the fact that Scott was still a teenager when he met Liberace in real life, allows the film to focus on the authenticity of their relationship without having to deal with the awkwardness of the immense age difference. The strong headline performances are backed up by an equally impressive supporting cast including Dan Aykroyd, Hollywood legend Debbie Reynolds and a heavily made up Rob Lowe as Liberace’s plastic surgeon Dr. Jack Startz, who is himself nipped, tucked and botoxed within an inch of his life. Unsurprisingly in a film about the most flamboyant showman ever, the costume, set and production design takes centre stage with some fabulous recreations of Liberace’s signature costumes and his “palatial kitsch” home.